During this time, priests were required to serve for one week at the temple every six months. What must it have felt like for Zechariah to receive the news that he and his wife would have a son, but then finish out his service time at the temple instead of being able to go home immediately? How must Zechariah and Elizabeth have responded when they learned that she was pregnant? How quick am I to attribute good things that happen to me to the Lord’s favor upon me as opposed to my own effort, “good luck,” or coincidence? Does it matter? As I look back over my life, are there any “disgraces” that I can see God has taken away or from which he has saved me? Oh, God, I want to be a person who recognizes your favor upon me. I could identify a hundred times you have poured out your favor. There are the unexpected little things you have blessed me with that I can’t imagine you would spend your time on, but you did. There are the impossible things that you accomplished that just make me shake my head and fall to my knees in awe and humility. 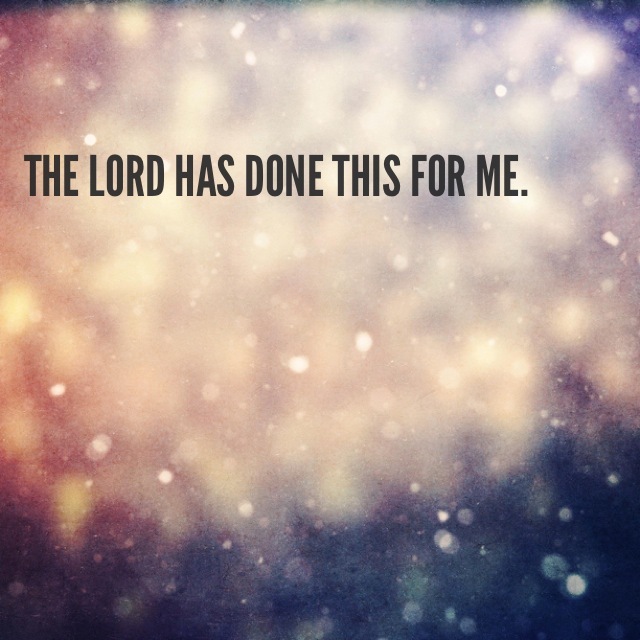 Oh, and the things you have saved me from, Lord! Some I know, some I’ll never know. Thank you, you have done these things for me. Thank you.